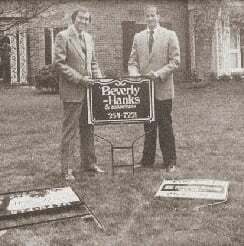 Beverly-Hanks & Associates was founded in 1976 with the merger of Beverly Realty and W. Neal Hanks & Associates, two of the area's most prominent real estate firms. For more than 40 years, our mission to be Western North Carolina's best real estate company has remained unchanged. Our history of success has placed us among the top 7 firms in the state and among the top 250 firms in the nation. However, our size only enhances our total capabilities. Today, Beverly-Hanks & Associates, REALTORS® is honored to represent more homes and land for sale throughout Western North Carolina than any other real estate firm. In addition to the hundreds of exclusive Beverly-Hanks listings, we are members of the North Carolina Mountains Multiple Listing Service (MLS) and have access to all properties listed in Buncombe, Graham, Haywood, Henderson, Jackson, Madison, McDowell, Polk, Rutherford, Swain, Transylvania, and Yancey counties. Every year, thousands of buyers and sellers choose us for the results-oriented, professional service that has been a hallmark of Beverly-Hanks since 1976. Our strength lies in our ability to provide you with the services of highly trained, caring professionals who are experts in this unique region. We will never outgrow our commitment to go the extra mile to provide you with real estate services of unparalleled quality. Each member of our organization shares a commitment to service aimed at building long-lasting relationships with our customers, clients, and the community at large. Our associates continually strive to provide a positive experience to buyers and sellers alike through unsurpassed local knowledge, comprehensive marketing plans, and outstanding overall service. Your Beverly-Hanks & Associates REALTOR® is also backed by an outstanding support staff, committed to the highest standards of care for customers and clients. Many of our agents are lifelong residents. We work diligently to identify the perfect property for your needs—whether you are searching for large land parcels for subdivision or development, or smaller acreage for residential homes and lots. We stay abreast of current market conditions and can quickly pinpoint properties that are right for you. Find Your Perfect Neighborhood – Whether you're looking for quaint or an estate, Western North Carolina has a wide spectrum of unique neighborhoods and land to match your lifestyle. Horse farms and equestrian land – WNC is one of the best places in the country to live the equestrian lifestyle. There are plenty of unique horse farms for sale, as well as state-of-the-art facilities like the Tryon Equestrian Center that offer resources and support. Luxury Property – As a LeadingRE affiliate, we have one of the largest exclusive selections of luxury homes in the area for buyers looking for a second home or those relocating. 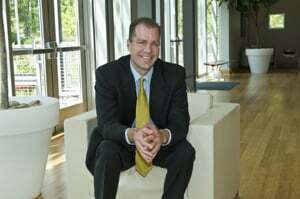 Commercial Real Estate – Asheville (and all of WNC) is experiencing strong growth in the business sector. At NAI Beverly-Hanks, our commercial division, we have an extensive and attractive portfolio of commercial real estate and land. Land and Acreage – Pardon the pun, but there is a lot of land available in WNC. Sometimes you just have to know where to look. Many of our agents specialize in land parcels for sale for residential, commercial, agricultural, or equestrian use. Lakefront Property and Homes – Waterfront homes are a unique and fun way to enjoy the mountains of Western North Carolina. Lake Lure is renowned for being the location where the movie Dirty Dancing was filmed. Live the Life You Choose! For personalized real estate support, fill out this form or call (866) 858-2257. One of our professional real estate experts will be in touch shortly.